Following a PhD in marine ecology at Leeds University, UK, and a post-doctoral fellowship at Aberdeen University in Scotland, I was offered a further post-doctoral fellowship attached to Aberdeen University. This project, begun in 1971, was to undertake a study of Sooty Tern biology to discover whether the traditional annual commercial harvest of Sooty Tern eggs was sustainable and to make recommendations to ensure that it would be in future. 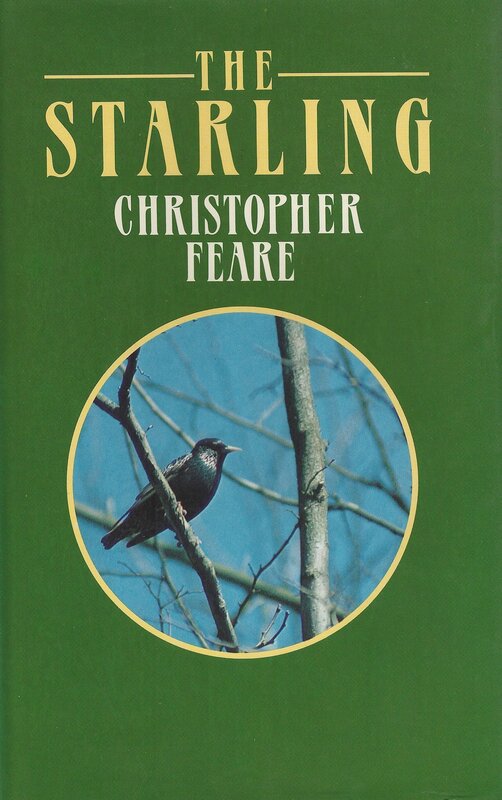 When that wonderful interlude ended in 1974 I secured employment with the UK Ministry of Agriculture to undertake research on Starlings, at that time regarded as one of the most serious pest birds in the country. This became an all consuming and satisfying career, eventually embracing research on a wide variety of other birds that posed problems to the UK’s agriculture, urban hygiene and safety, aviation safety and conservation. Bur Starlings dominated my interest throughout, leading to two books, one on the common bird and another on all of its relatives. I did not forget Seychelles and its Sooty Terns, however, and returned several times to the beautiful islands during leave. A request from the Director of Conservation in the Seychelles Government in 1992 to begin further research led to annual visits thereafter and these have continued ever since. By 1996 my employment with what was by this stage the UK’s Department of Environment, Food and Rural Affairs had become dominated by stressful and entirely unenjoyable administration and I welcomed the opportunity of early retirement. Under the banner “WildWings Bird Management” I have continued working with birds that interact with man, as pests or in relation to conservation (by this time the Starling in UK and northern Europe had become a bird of conservation concern!). 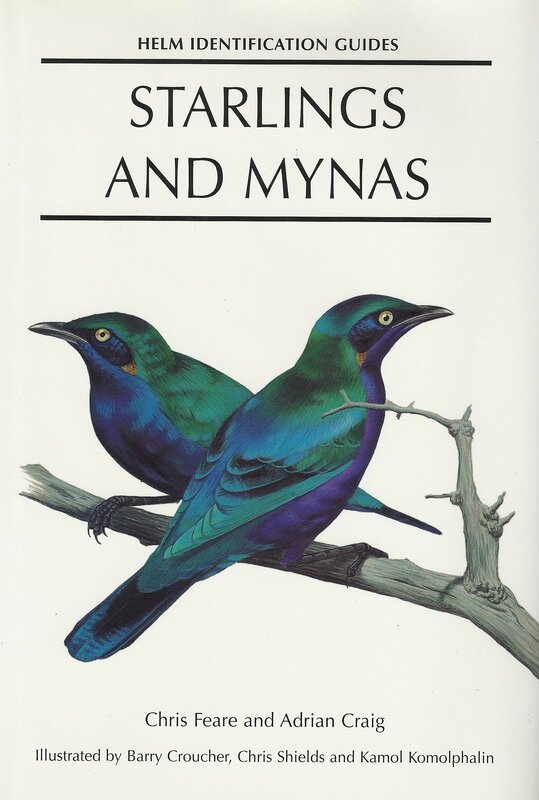 This enabled me to devote more time to Seychelles and its Sooty Terns and also to become involved with one of the Starling’s relatives, the Common Myna, which can interfere with some conservation initiatives on tropical oceanic islands. My work and adventures over four decades in Seychelles have now been described in another book: Orange omelettes and dusky wanderers, published by Calusa Bay Publications in Seychelles. Christine Larose in her element! Christine Larose is a Seychelloise who shares my love of remote islands and their wildlife. She began working with me in 2009 and has subsequently played a vital role in our work with Sooty Terns and Common Mynas. 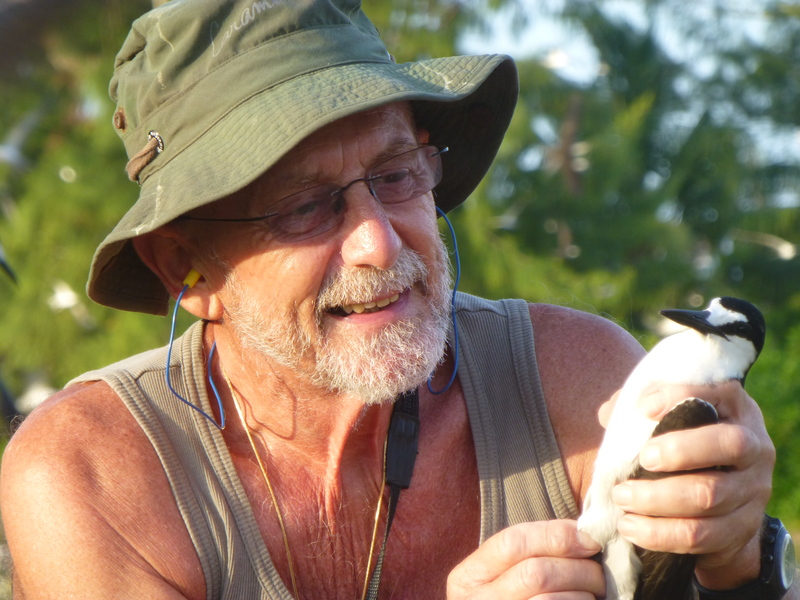 She has been instrumental in the design and attachment of GPS tags to Sooty Terns and attended a conference with me on Indian Ocean seabirds in Western Australia. We recently ran a training course on Aride Island for staff from Island Conservation Society, teaching them how to handle small seabirds, attach GPS loggers, recover the tags and download the location data. She has also made a big contribution to the successful eradication of Common Mynas from Denis Island and to the near-complete eradication of mynas from North Island, again involving training people in all aspects of these projects. Her practical abilities and application of these to Seychelles projects has resulted in her recognition as WildWings’ “Chief Technician”! After retirement I also took the opportunity to adopt Andalucia, in southern Spain, as a peaceful, almost internet-free, bolthole where thinking and writing are interrupted only by amazing birdwatching, tapas, wonderful olives and the occasional glass of Rioja! Neumann, J L, Larose, C S, Brodin, G & Feare, C J. 2018. Foraging ranges of incubating Sooty Terns Onychoprion fuscatus on Bird Island, Seychelles, during a transition from food plenty to scarcity, as revealed by GPS loggers. Marine Ornithology 46: 11-18. Feare, CJ. 2015. Synchrony of primary moult in pairs of Common Mynas Acridotheres tristis. Bulletin of the British Ornithologists’ Club 135: 185-187. Feare, C.J., Edwards, H., Taylor, J.A., Greenwell, P., Larose, C.S., Mokhoko, E. & Dine, M. 2015. Stars in their eyes: iris colour and pattern in Common Mynas Acridotheres tristis on Denis and North Islands, Seychelles. Bulletin of the British Ornithologists’ Club 135: 61-68. Feare, C.J., Lebarbenchon, C., Dietrich, M. & Larose, C.S. 2015. Predation of seabird eggs by Common Mynas Acridotheres tristis on Bird Island, Seychelles, and broader implications. Bulletin of the African Bird Club 22: 162-170. Feare, CJ, French, GCA, Nevill, JEG, Pattison-Willits, VS, Wheeler, V, Yates, TL, Camille Hoareau, C & Prescott, CV. 2015. An attempt to re-establish a breeding colony of sooty terns Onychoprion fuscatus on Denis Island, Seychelles. Conservation Evidence 12: 19-24. Feare, CJ & Larose, CS. 2014. Egg adoption by incubating Sooty Terns Onychoprion fuscatus. Marine Ornithology 42: 27–30. Feare, CJ & Bristol, RM. 2013. Within-colony determinants of Sooty Tern post-fledging survival revisited: effect of body mass and relative time of fledging. Ringing & Migration 28: 1-5. Feare, C.J. 2011. Loss of Darvic rings from Seychelles Sooty Terns. Ringing & Migration 26: 77-78. Feare, C.J. & Doherty, P.F. 2011. Age at first breeding and pre-breeding survival in Seychelles Sooty Terns Onychoprion fuscatus. Marine Ornithology 39: 221-226. Feare, C J. 2010. Role of wild birds in the spread of highly pathogenic avian influenza H5N1 and implications for global surveillance. Avian Diseases 54: 201-212. Mužinić, J, Feare, C J, Pavlak, M, Cvitković, D, & Tadić, M. 2010. The epidemiological environment of highly pathogenic avian influenza H5N1 outbreaks in wild birds in Croatia, 2005-2006. Polish Journal of Environmental Studies 19: 379-385. Lebarbenchon, C, Feare, C J, Renaud, F, Thomas, F, & Gauthier-Clerc, M. 2010. Persistence of highly pathogenic avian influenza viruses in natural ecosystems. Emerging Infectious Diseases. 16: 1057-1062. Feare, C J, Kato, T & Thomas, R. 2010. Captive rearing and release of Bar-headed Geese Anser indicus in China: a possible virus infection route to wild birds. Journal of Wildlife Diseases 46: 1340-1342. Feare, C.J. 2010. The use of Starlicide® in preliminary trials to control invasive common myna Acridotheres tristis populations on St Helena and Ascension islands, Atlantic Ocean. Conservation Evidence 7: 52-61. Bednarczuk, E., Feare, C.J., Lovibond, S., Tatayah, V. & Jones, C.G. 2010. Attempted eradication of House Sparrows (Passer domesticus) from Round Island, Indian Ocean. Conservation Evidence 7: 75-86. Feare, C.J. 2010. Eradication of invasive birds on tropical oceanic islands. Aliens: the invasive species bulletin. 30: 12-19. Feare, CJ. 2009. Diversionary behaviour of Bridled Terns Sterna anaethetus. Marine Ornithology 37:181-182. Feare, C J. 2007. The role of wild birds in the spread of HPAI H5N1. Avian Diseases 51: 440-447. Feare, C J, Jaquemet, S & Le Corre, M. 2007. An inventory of Sooty Terns in the western Indian Ocean with special reference to trends and threats. Ostrich 78: 423-434. Feare, C J. 2007. The spread of avian influenza. Ibis 149: 424-425. Can Cheis or anyone help regarding some starlings please? This week they’ve found a gap in some wood underneath our balcony, I believe there are several of them-I work from home and as much as I’d love to let them stay I really can’t! Would we be ok to seal the hole during the daytime once we’ve ensured all the starlings are out? Will they be ok in this cold weather? Any advice would be really appreciated, I really don’t want them to come to harm! My preference would be to allow them to use your hospitality until the cold weather recedes and then block the hole. They are likely to spend much of the daytime feeding and so should not cause you too much disturbance. Once the weather improves, and the days become longer, they will have more time to search for an alternative place to roost. Chris, thank you so much for your quick reply, I really appreciate it! I found out about you from googling ‘uk starling expert’ and as a starling lover I’m so pleased I did! I’m also reading here with interest on exotic birds, we got married in Mauritius so that area is close to me. You’ve cemented my thoughts, I will let them stay and give them squatters rights! I work with clients in the room below our balcony and will just have to give advanced warning of jaunty sounding footsteps and the odd squabble! May I please ask your advice again? I’ve read online that starling start to breed from March/April. If we let them stay until around the end of February will this still be ok and they won’t have laid eggs? When I was studying starlings in southern England 25 odd years ago they generally started laying in the first week of April. Since then they have apparently been breeding somewhat earlier but you will be safe evicting them by the end of February. And that will give them time to find alternative accommodation for the breeding season. Mauritius is nice but my preference lies in my adopted home, for several months each year, of Seychelles, where I am now. All these places come with their frustrations though – here the internet is so slow that I cannot upload photos.to blog posts, so I’m not able to publish accounts of interesting activities and occurrences. Maybe I;ll have to post a flurry of them when I return to UK!